It was a Monday and I dreaded driving into the city. First of all I did not know where the building is located. I did not want to drive around looking for the place. I wouldn’t want to get into a packed car park trying to look for a parking space during those working hours. I knew that there will be a lot of people going to the place to get the same work done. So, I decided to hail a ride from GrabCar, a Malaysia’s cab-hailing service. Once I got into the car, the driver wanted to say something but he was cautious as to whether I was ready for a chat. Somehow his eagerness got the better of me, so I just greeted him and thanked him for fetching me. Knowing that he wanted to tell me something, I casually asked him, “How’s business?” With such encouragement, he launched into a series of complaints about the country’s economy, beginning with the first line: “Business bad lah”. The prices of fuel has gone up. The prices for meals have also increased. Business is slow. As with someone who tries to get some answers, he just needed someone to hear his woes. I kept my ears open and listened. With his non-stop complaints, it was hard to get some ideas in. So, I let him speak. When he stopped to catch his breath, I cut in. Stopping him from all these un-progressive banter, I said, “Look, it is so good you have a car and you are making money driving it at your leisure.” He looked ahead and for the moment, kept quiet and started to think. “Ten years ago, when we had an economic slump, there was no such opportunity where you drive and got paid, right?” I turned and looked at him. He thought about it for a while and said: “Yeah, that is true. Nowadays, got business some more.” He smiled. The mood began to shift. Feeling more positive now. “Have you heard of goget?” He asked. “I am with goget too. I just delivered a cake ordered by a girl from the goget website. The service charge is about RM15.” He told me. “Yes. She will pay me according to the receipt. Last time, someone gave me a budget of RM200 to buy grocery. So, I bought the things she wanted up to her budget and delivered to her. I got paid for my service and she paid me the items according to the bill.” He explained. 1. When topics of communication revolve around hate, despair and depressing stuff, there is nothing to respond except more hate, more despair and more depressing stuff. Imagine if I have agreed to the driver’s complaints about how bad is the economy, there will be no end to the depressing status of each of our lives. 2. When we changed the topic to talk about possibilities, sharing ideas and benefits, we are more productive. From the experience, the driver got to know a new website where he can register his and his son’s services as electrician. From him, I got to know about a new website called goget.my where I can share this service with my friend who has been looking for ways to deliver his homemade cakes and pastries to his clients. Both of us got something useful in return. 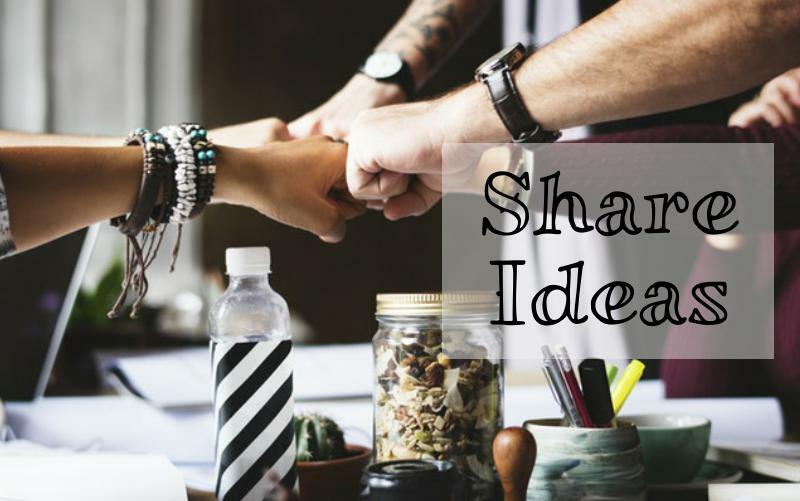 Let’s start sharing good stuff, especially productive ideas.